Mushroom burger, from Classic 101 Burgers and Shakes, originally uploaded by schahn. 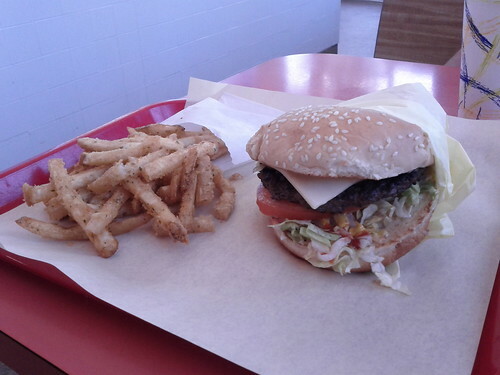 Classic 101 Burgers and Shakes [Yelp] makes a reliable, basic burger. It’s one of the few hamburger-serving restaurants from the tour I return to without hesitation. (When I’m not up for a new location, Classic 101, with its generally predictable serving latency, is the current default.) They make an excellent malted milkshake, too.